8.30pm Lecture –“A Struggle for land – the Family of Sean Treacy – a very Irish Tragedy”. 11.30pm Anniversary Mass for C.J. Kickham and James Maher – Followed by Oration and Laying of Wreaths by Dr. Caitriona Clutterbuck. 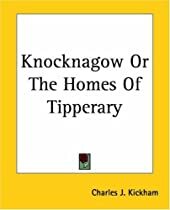 Charles Kickham’s classic novel Knocknagow was published in 1879, just seven years before the establishment of the first creamery in Ireland. The subsequent spread of the creamery system had a profound effect impact on the agricultural economy and the rural society of Ireland’s dairying regions, including the South East Tipperary in which Knocknagow is set. This lecture outlines the early spread of creameries in Ireland, with particular focus on the Knocknagow region as well as the impact the creamery system had on farm life. Sometimes forgotten is that creameries had a negative impact on certain groups. The lecture concludes with a brief account of the development of creameries in the region to the present day. Dr. Proinnsias Breathnach is senior lecturer in Geography at the national University of Ireland Maynooth. A Waterford man (and a hurling Fanatic), his first ever job was as a teenager in the creamery in Dungarvan. Proinnsias has taught courses in Irish agriculture and on Irish agricultural co-operatives and has published many papers in these areas. Sean Treacy needs no introduction but his father’s background was always a mystery. This talk solves that mystery and Illustrates that Kickham’s view of Tipperary tenant farmers was somewhat romantic. The Treacy story indicates just how far a man was prepared to go to get hold of land – not a journey on which C. J. Kickham takes his readers. Denis G Marnane founding member of the county Tipperary Historical Society has contributed to its annual journal since its launch in 1998. He has written extensively on many other aspects of the history and heritage of Co. Tipperary. With Mary Darmody of Tipperary Studies Library in Thurles, he produces the finding Tipperary series of resources relating to the county. Denis lives in Tipperary Town.